Coldwell Banker St. Kitts Nevis will act as your agent on Nevis to facilitate the whole process on your behalf. 1. Sign Purchase and Sales Agreement. 2. Appoint Local Processing Agent (recommended by Coldwell Banker St. Kitts Nevis), sign a Notarised Limited Power of Attorney, limited to giving the Local Processing Agent (local lawyer) Power of Attorney to submit the application on behalf of the applicant. 3. Fill out an original application for each applicant and send by courier to the Local Processing Agent along with all necessary supporting documentation. 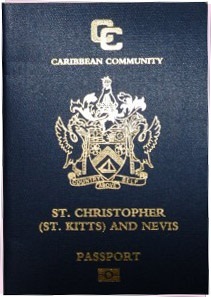 Original application forms are only available for purchase from the Citizenship by Investment Unit on St. Kitts, by a registered Local Processing Agent, at a cost of US$250.00 each. Separate forms must be submitted for the Primary Applicant and each Dependant Applicant.
? Full cost of the real estate to be held by a registered Escrow Agent.
? Registered Escrow Agent cost are a onetime payment of 1% of the funds to be held in escrow. NB all documents must be translated into English. Both the original and the translation must be submitted and any translated documents must be notarised as authentic translations.
? Copy of duly executed real estate contract (Purchase and Sales Agreement) to be submitted with the application forms.
? Proof of requisite funds held in escrow by a registered Escrow Agent.
? Medical Certificate (Form C3) including original results of HIV test. Note that the HIV test results must not be older than 3 months.
? Certified copy of your current Passport(s) showing name, photo, citizenship/nationality, date and place of issue, expiry date, passport number, and issuing country.
? 6 original Passport sized photos of yourself taken within the past 6 months. N.B (one of the photos must be certified and attached to Form C2).
? Police Certificate ?certificate of no criminal record? or ?police clearance certificate? from country of citizenship and any country where you have lived for more than 1 year over the past 10 years.
? At least 1 original bank reference letter issued by an internationally recognized bank, not older than 6 months.
? At least 1 original professional reference (e.g. from an attorney, notary public, charted accountant or other professional of similar standing) not older than 6 months.
? 1 original document of evidence of residential address (e.g. certified copy of a recent utility bill or bank statement showing full name and address, or written confirmation from a bank, attorney, chartered accountant or notary public).
? 1 Original excerpt of marriage record or certified copy of marriage certificate(s) if applicable (ie. if married persons apply together).
? Certified copy of divorce documents (if applicable).
? Statement of source of fund to be invested in St Kitts and Nevis.
? Evidence of title transfer (a signed Memorandum of Transfer for the Unit) shall be submitted.